WOW! Look what you can do with a wedge ruler! 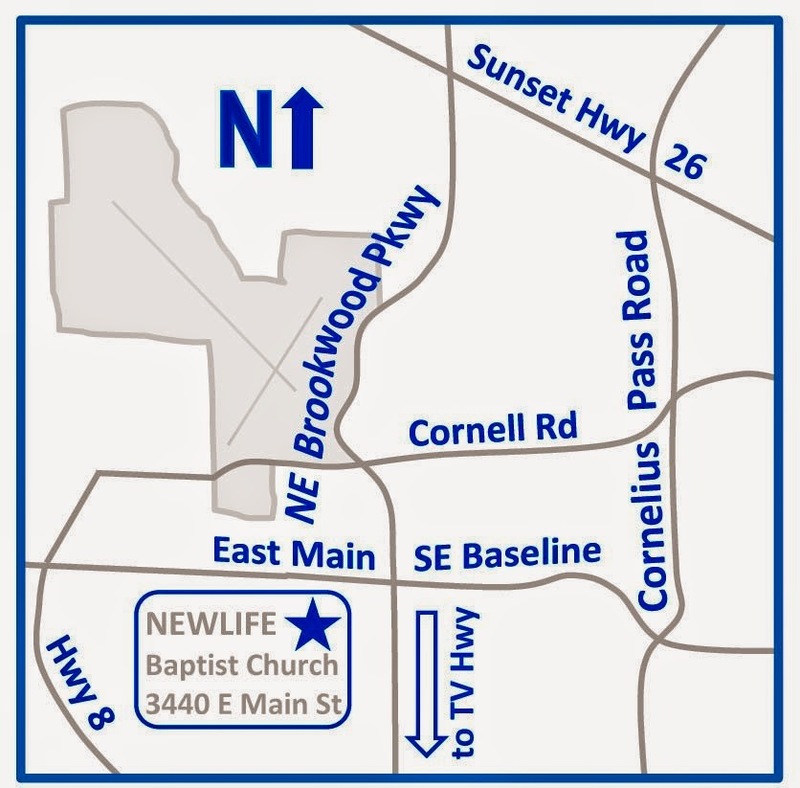 February is an exciting month with the Westside Quilters! It's the month our challenge participants reveal their entries in our annual challenge contest. The guild is in it's 12th year so this is the #12 Challenge. Must be 12" x 12"
We will be awarding a prize for the viewers' choice as well as random drawing. Everyone has a chance to win! So you don't think you're work is up to snuff? NOT TRUE! 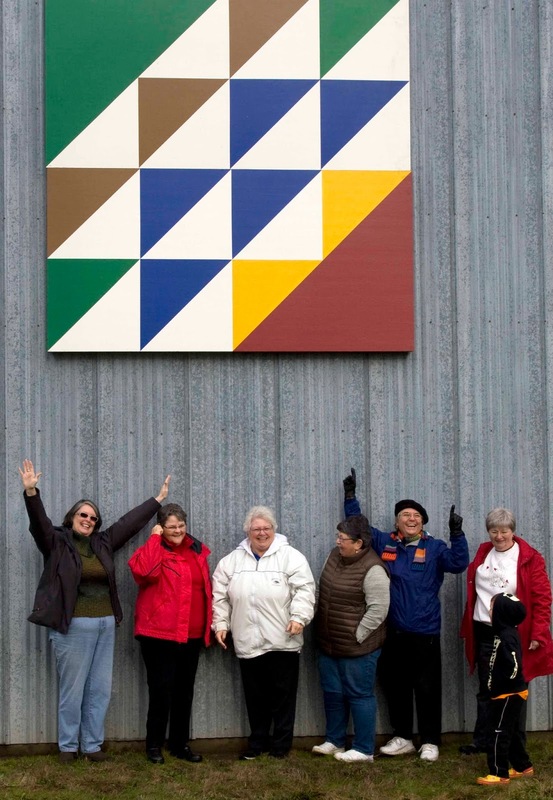 We all love to see the vast array of quilts made by our members. We want to see YOUR interpretation of this theme. 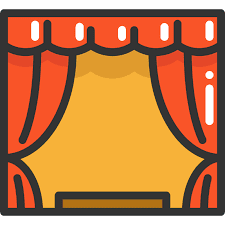 Join in the fun and bring an entry! 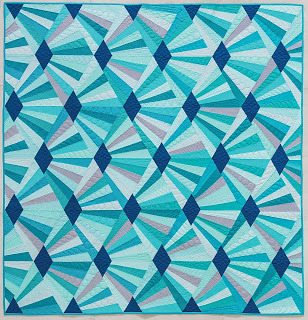 Elizabeth Hartman, is a quilter, pattern designer, and fan of color from Portland, Oregon. She has been making things her whole life but, when I made my first quilt in 1999, she was hooked and has been making quilts ever since. 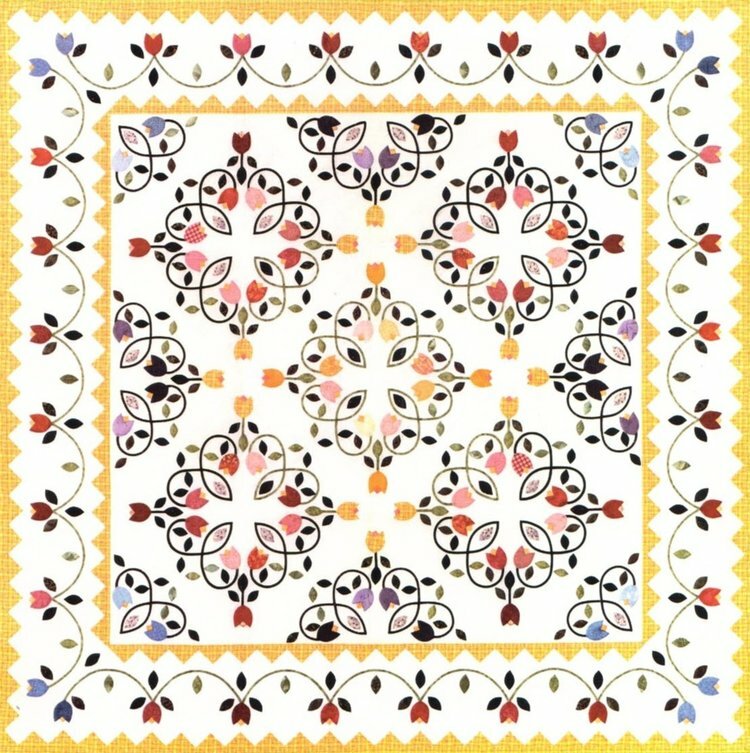 For Elizabeth, quiltmaking is the perfect combination of creativity and technical challenge, all in the service of making a useful object.Before she was a full-time quilter, she worked at a variety of disparate jobs. She made patches for high school letterman jackets and sports uniforms, worked for the Portland Opera (not as a singer), and she was a commercial mortgage closer for the better part of a decade. 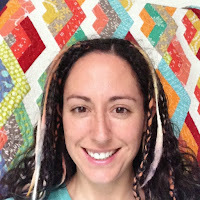 It was while working at this last job that she discovered the online quilting community and started blogging about her own work.Elizabeth is self-taught, which she says means that she did everything wrong at least five times before she figured out how to do it right. 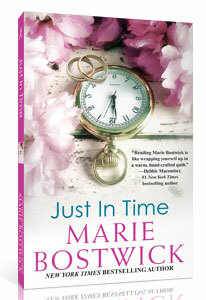 So, when given a chance to write her first book, she wrote the book she would have wanted to have when she was teaching herself. 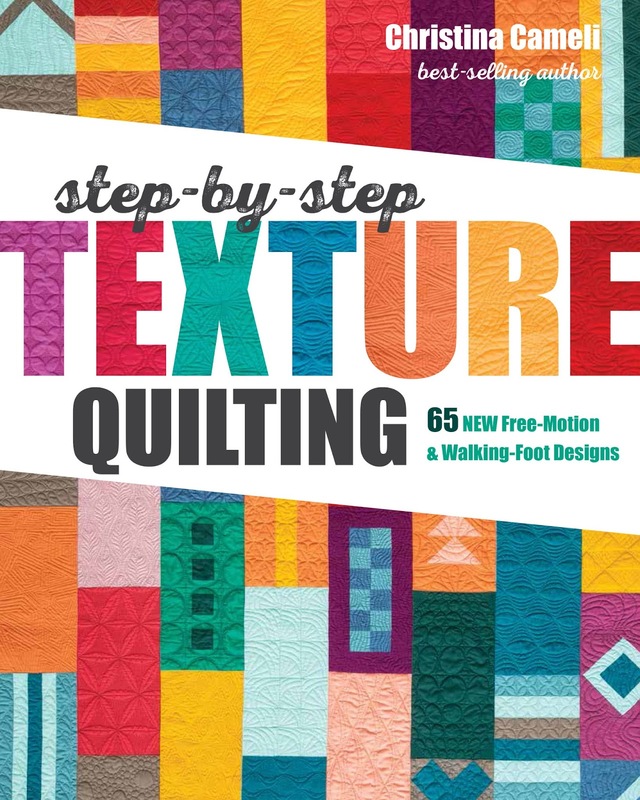 That book, The Practical Guide to Patchwork, was published in 2010 and won the Next Generation Indie Book Award (How-To Category) in 2011.At the end of 2009, Elizabeth quit her day job to pursue quilting full time. he rest, as they say, is history! What followed were more books, appearances on TV, and video, inclusion in other publications, designing fabric lines and sharing her creativity with the world as a very prolific pattern designer.In Elizabeth's words, "I love what I do for so many reasons, but the best part has to be seeing what other people make with my patterns. Being able to do creative work as my job is great. Giving other people the tools to do their own creative work is amazing. Keep quilting, everyone!" 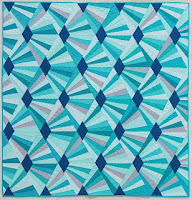 Elizabeth Hartman will visit our guild in March and will present a trunk show of her fabulous quilts. Our April, 2019 speaker is Rosemary Burris. wonder in what lives within an animal’s thoughts and connects to their souls. One of the things about quilting that has always intrigued Rosemary is the use of color in communicating shape, design and purpose. 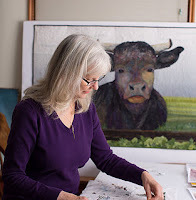 So, when she began creating quilt collages using hundreds of different pieces of fabric, the ability to create shape and dictate focus using hues, values and patterns took my work in a totally different direction than traditional quilting. Rosemary is consistently drawn to fabrics that create the illusions of texture, movement, relief, and contours with lines, dots and shine. She takes in elements of the fabric while looking at the whole design. Finally, She quilts the finished mosaic with fine silk thread. Most of her work revolves around animals, particularly dogs. There is a soulfulness and a shared connection humans feel with dogs. Perhaps it’s because they’re so curious. After hiking in the Alps, she also fell in love with cows. She noticed how well they communicate without words, simply by expressions. She wants to capture that in her work. So, she always begins with the eyes. The eyes render the image alive. The face and body evolve intuitively by careful blending of color and pattern. Each fabric piece adds a level of depth, much the way a painting comes to life through shape, shading and color. 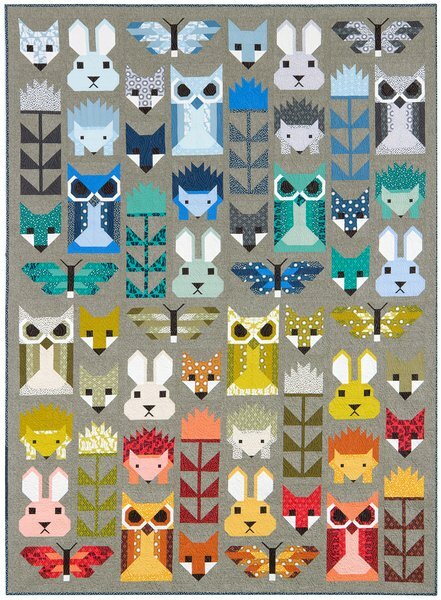 Says Rosemary, "I hope that my quilt collages will instill a sense of wonder in what lives within an animal’s thoughts and connects to their souls. 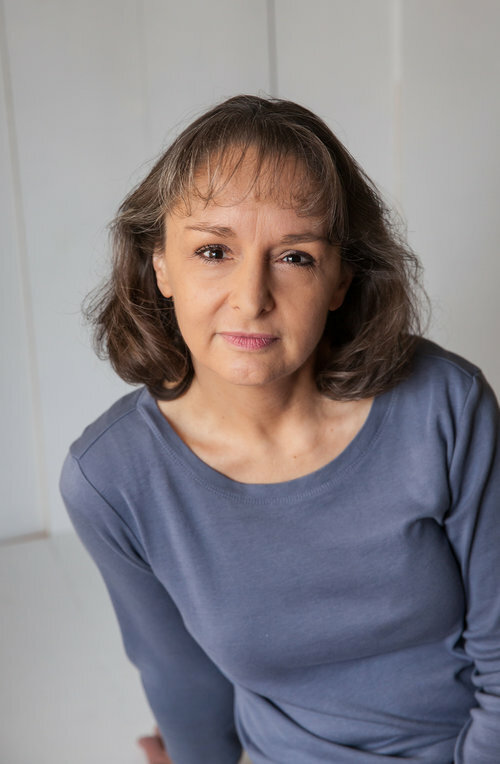 Our May, 2019 guest is Sylvia Pippen. 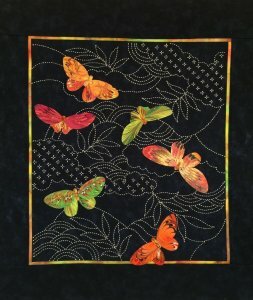 Sylvia's quilts combine hand appliqué, and contemporary and traditional sashiko. 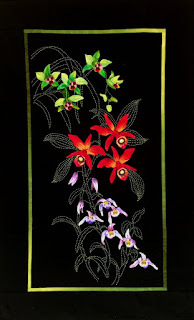 She strives to create realistic appliquéd flowers and use sashiko to outline intricate foliage designs. 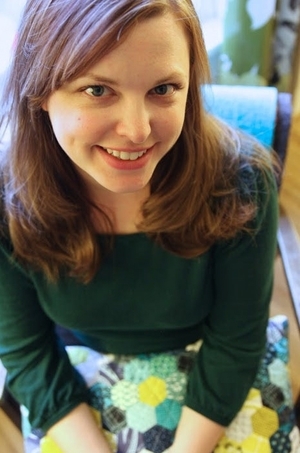 Her latest venture is cyanotype and surface design to create unique fabric. Cyanotype, an old photographic process that produces blue and white images on cloth when exposed to the sun, combining beautifully with sashiko and appliqué. Silk paints that act like dyes can also be sun printed, creating complementary fabric. 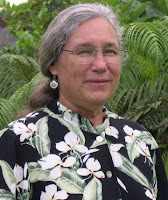 Sylvia recently moved to La Conner, Washington after 13 years on Kauai and the Big Island of Hawaii. She has been a gardener most of her life and quilting is an extension of her passion for plants. She loves to teach and travel to far flung places and also hold workshops in her studio where I have all the facilities for printing and dyeing. 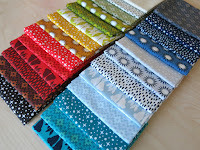 She has a wholesale and retail online business of her patterns, fabric kits, books and supplies. Born in Slovenia, Irena Swanson is a professor of Mathematics at Reed College. 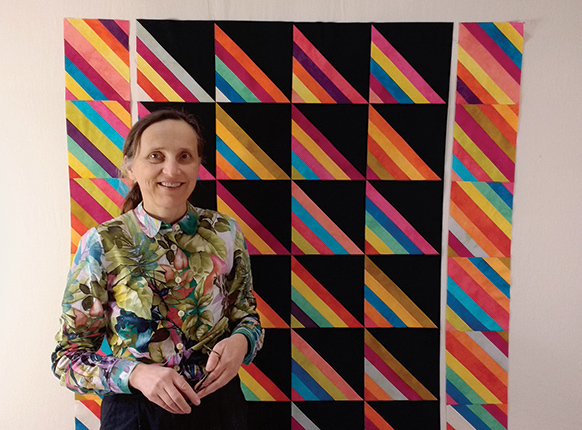 She has blended her love of quilting with her mathematical abilities and invented the tube piecing method of constructing quilts. 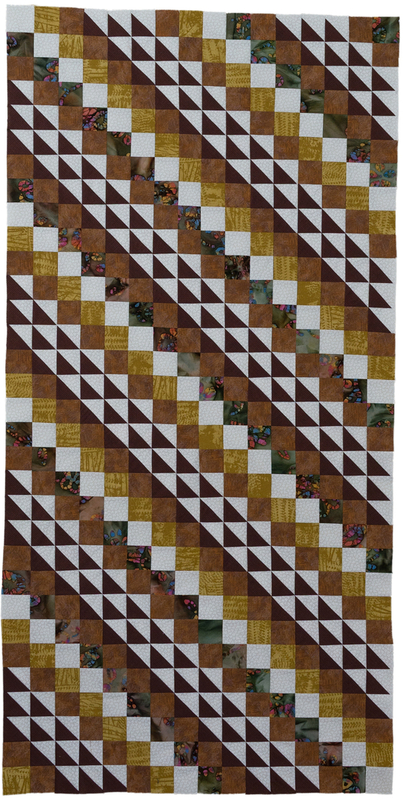 Irena says, " I like to make beautiful quilts accurately and with streamlined methods. 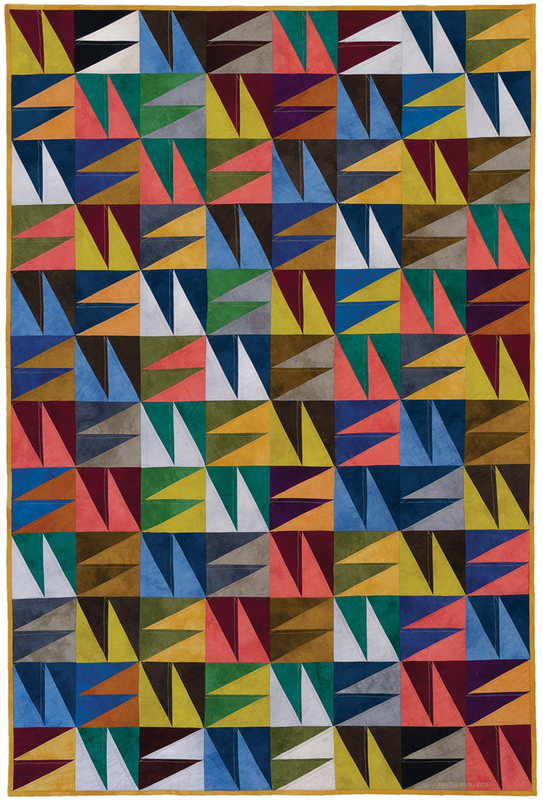 To this effect I have been developing a very accurate and fast technique for many quilt patterns: for all-over parallelograms and all-over triangles, for long or multitudinous rows of parallelograms and triangles, and for many other designs. In comparison to strip piecing, tube piecing is faster and uses fabric and time more efficiently. Tube piecing is an enhanced version of strip piecing; it is to strip piecing as strip piecing is to traditional piecing: more efficient and more accurate. You get to experience quilting from a new point of view: it is often about cutting large constructions down rather than building from small pieces up. Tube piecing allows any angles, not just the standard 90, 60, 45, 30 degrees, it minimizes seam starting, it minimizes inaccuracies inherent in seam starting, it avoids corner discards of strip/row piecing, it minimizes the number of seams needed for the constructions, it manages the numerous small pieces more sanely, it reduces the amount of thread clipping, it speeds up the quilt-making, it makes the final product more accurate, it handles bias edges with their proneness for stretching more appropriately, and it allows for exploring new pattern possibilities with successive stages of wide and narrow tubes, and of pre- and post-tubes. 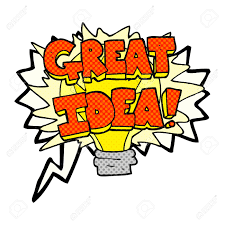 You do not need to buy any new gadgets —- scissors, a rotary cutter, cutting mat, ruler, sewing machine, iron, fabric, and thread will do. For a few projects I also use a seam ripper: not to correct mistaken seams but as part of streamlined design. Tube piecing is accessible to any quilter who is comfortable with the rotary cutter and accurate measurements." 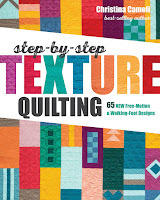 Irena will treat us to a trunk show and amaze us with her techniques when she speaks to the Westside Quilters in June. 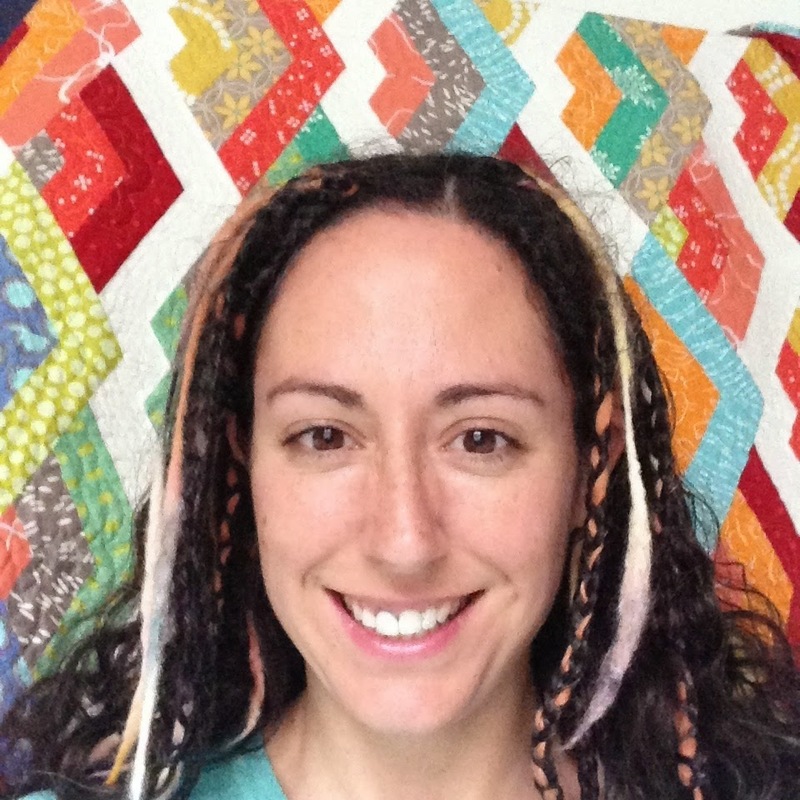 Jaimie Davis is from Portland, Oregon and loves to make quilts. 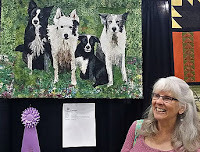 She has taught and lectured for the American Quilters Society, the Northwest Quilting Expo and Quilt Connect USA. Her work has been shown in national and international exhibits including the International Quilt Show in Houston, Texas, the Pacific International Quilt Festival in Santa Clara, California and the International Art Competition for the Church of Jesus Christ of Latter-day Saints. 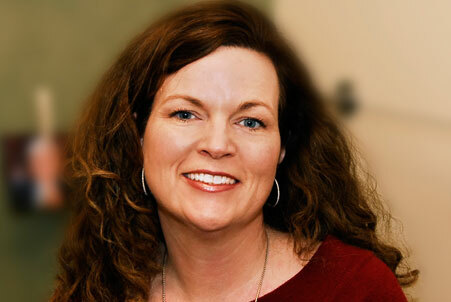 Jaimie is a story-teller who enjoys spending time with people who love to sew. She has been teaching for over 20 years and believes that everyone who enters her classroom should feel happier and more confident when they leave. Color and curvy lines inspire her, and the joy of creating keeps her working late into the night. 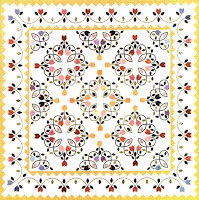 Jaimie will present a program on the History and Mystery of Baltimore Album Quilts. 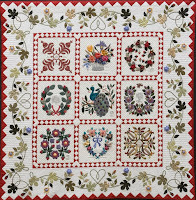 The history of Baltimore Album quilts is a fascinating journey into an America headed for the Civil War. Discover how the industrial revolution, the struggle over slavery and the social and moral climate of the time contributed to this beautiful art form. 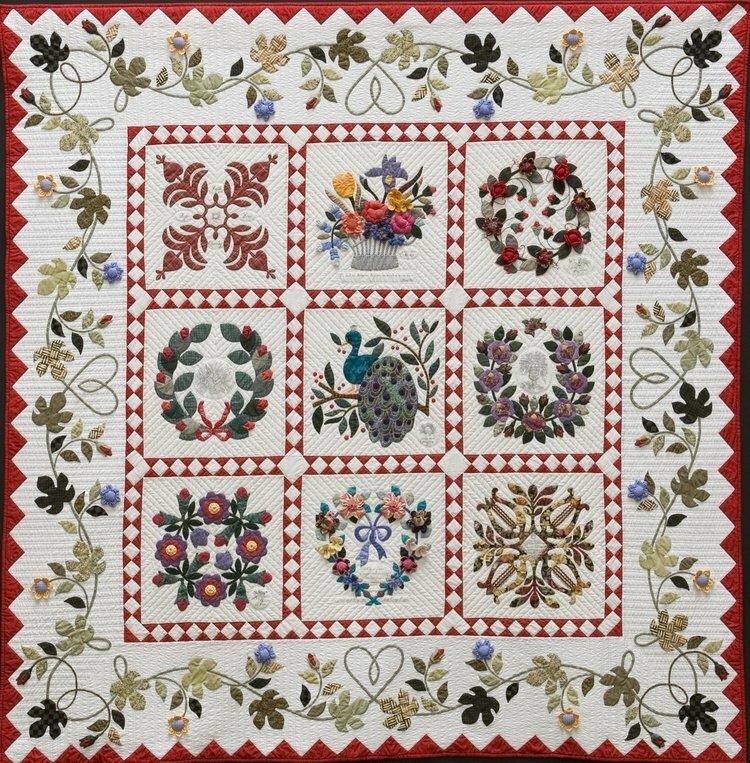 Through stories, we will explore how the demise of Baltimore Album quilts leads us into the hearts and minds of the women who made them, and how this delightful mystery connects us with our sisters of long ago.